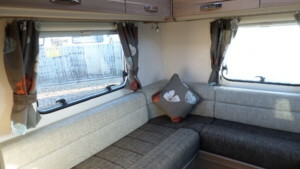 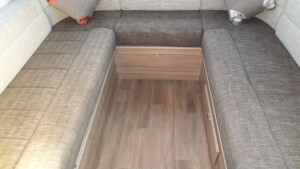 A lovely 2 berth model with a rear “U” shaped lounge. 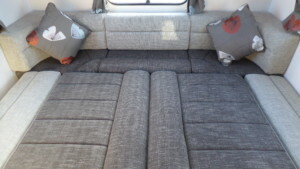 The rear lounge is a multi-function space that fulfils three roles: lounge, bedroom and dining room. 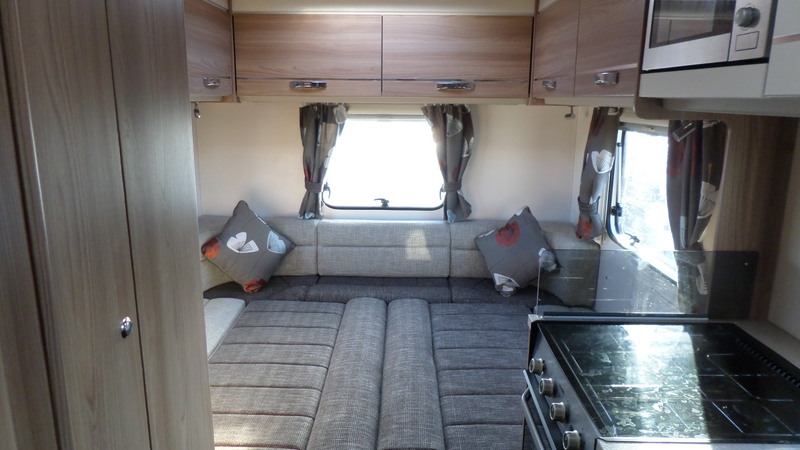 During the day it is a comfortable area to relax, read a book or watch tv and during the evenings it quickly converts into a sleeping area with 2 single beds or a large double bed. 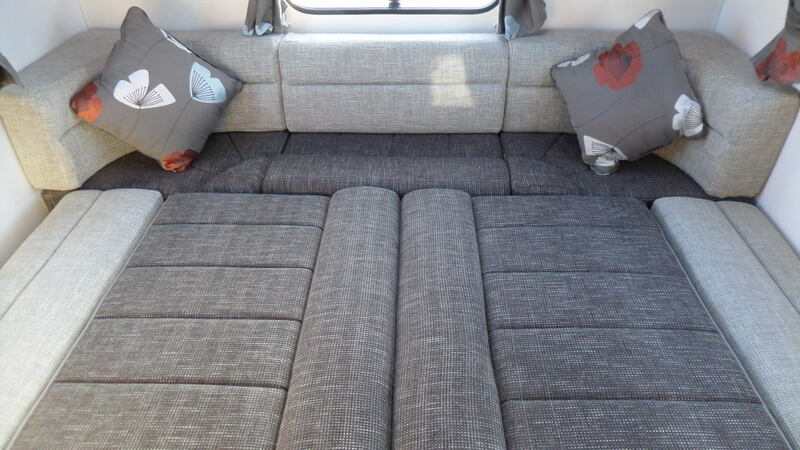 Storage is not a problem thanks to the overhead aircraft style lockers and the space beneath the rear seats. 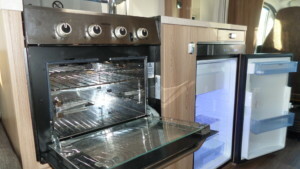 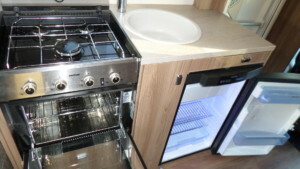 The mid kitchen is functional with a combination oven/grill, 3 burner gas hob and large fridge. 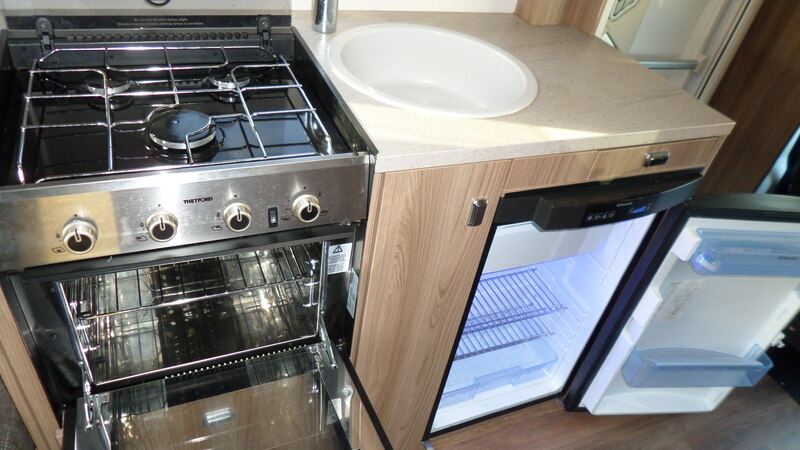 A fitted microwave oven is an added bonus for quick meals. 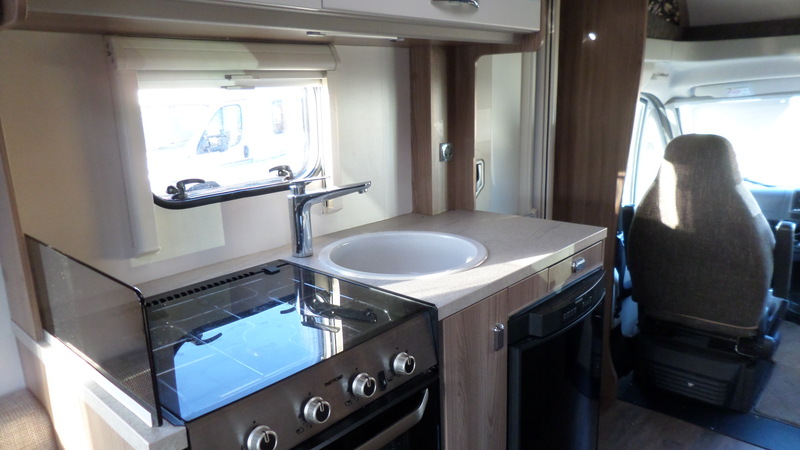 Food preperation is made easy thanks to the clever use of worktop space including a fold up extension and integrated cutlery drawer. 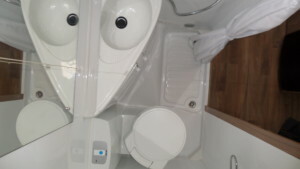 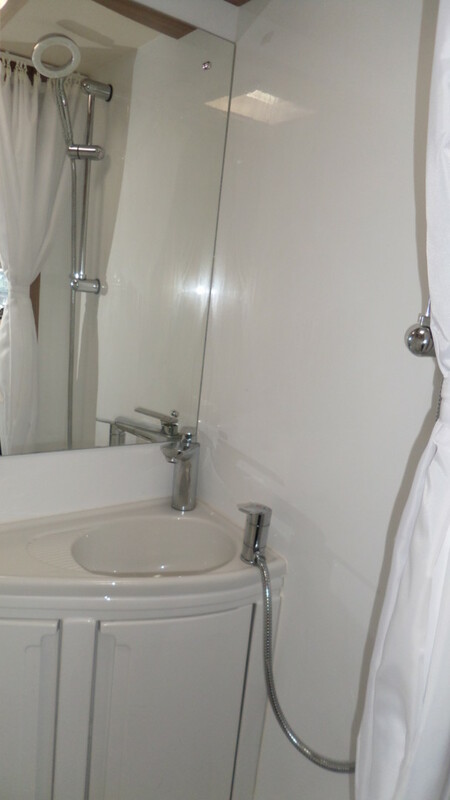 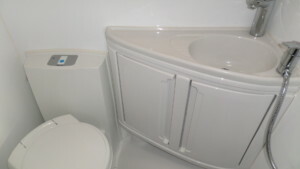 The front side washroom is bright and modern with a vanity sink, toilet and shower. 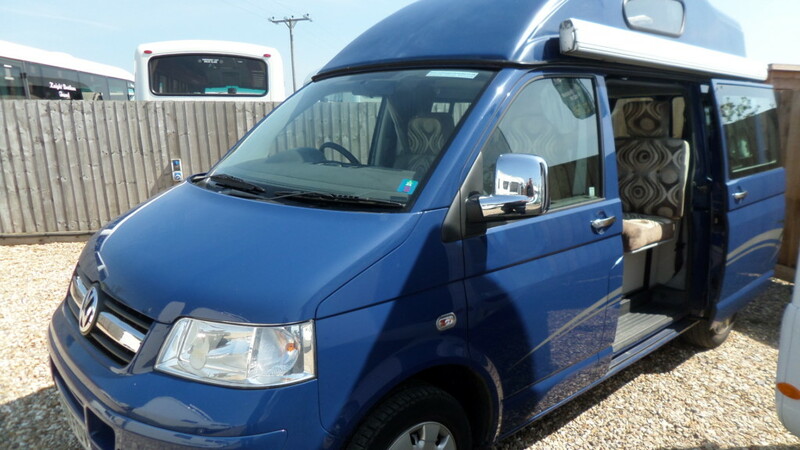 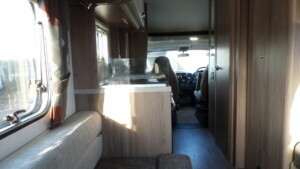 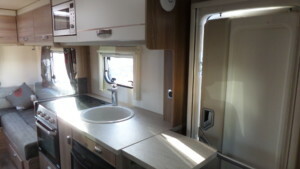 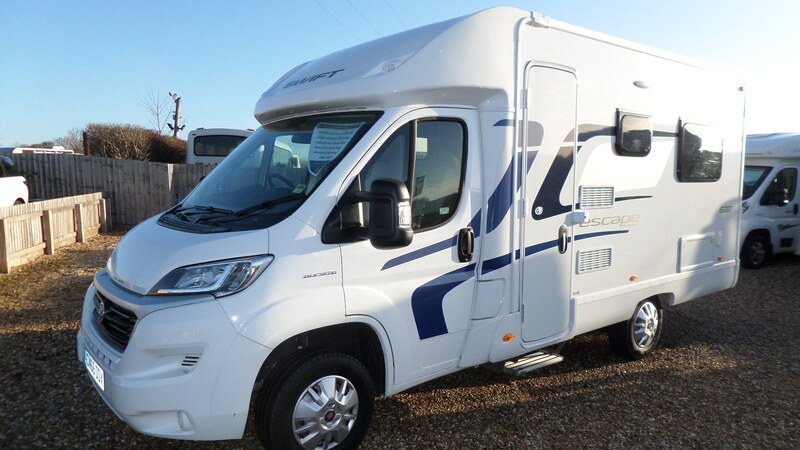 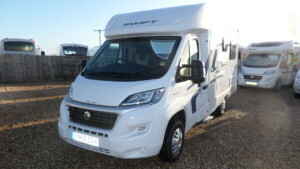 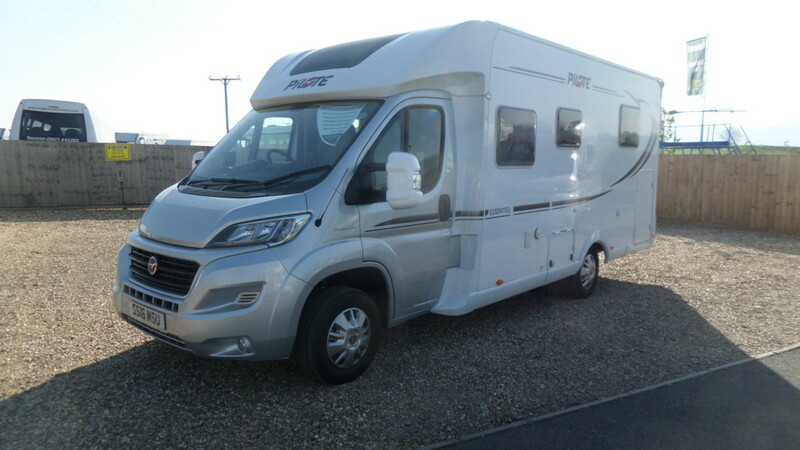 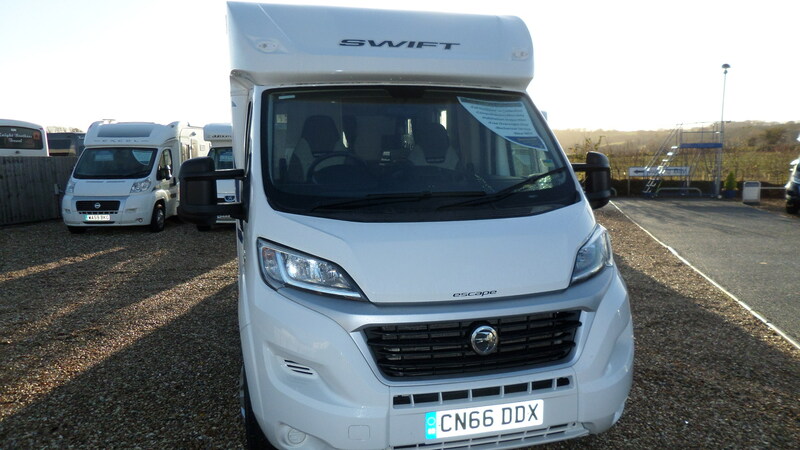 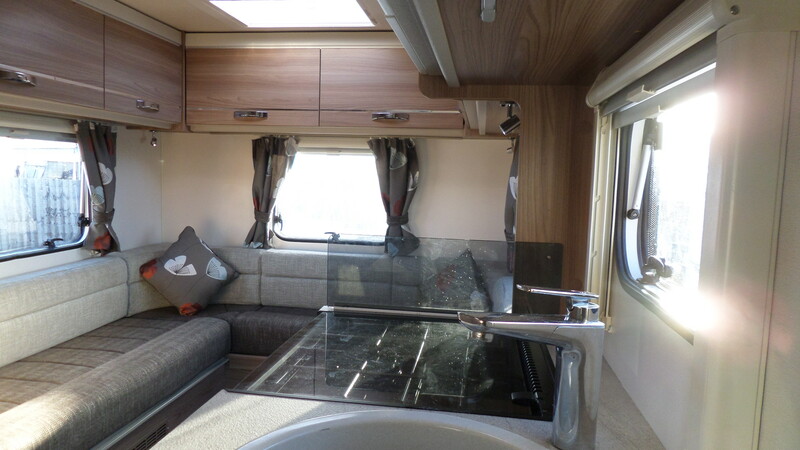 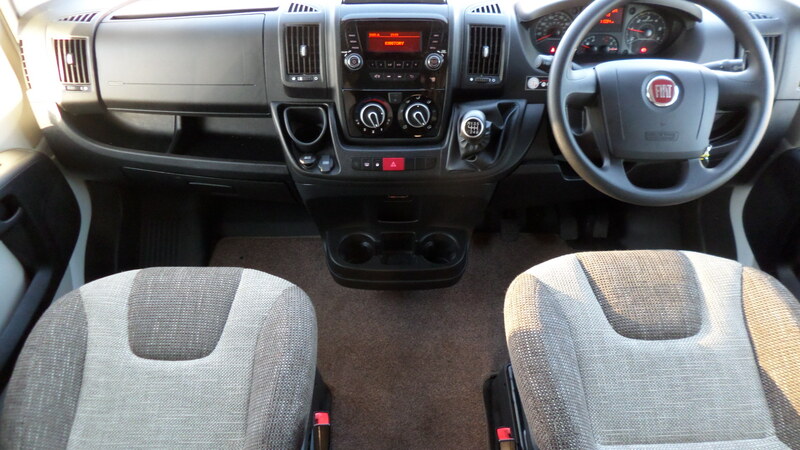 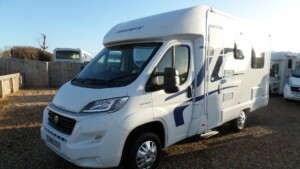 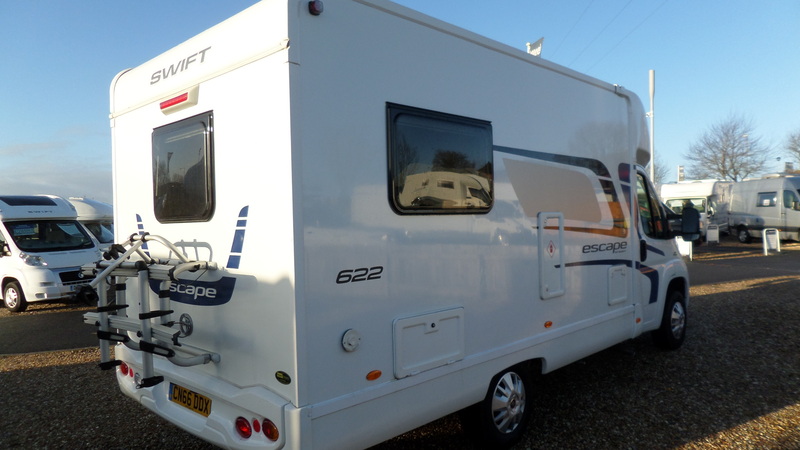 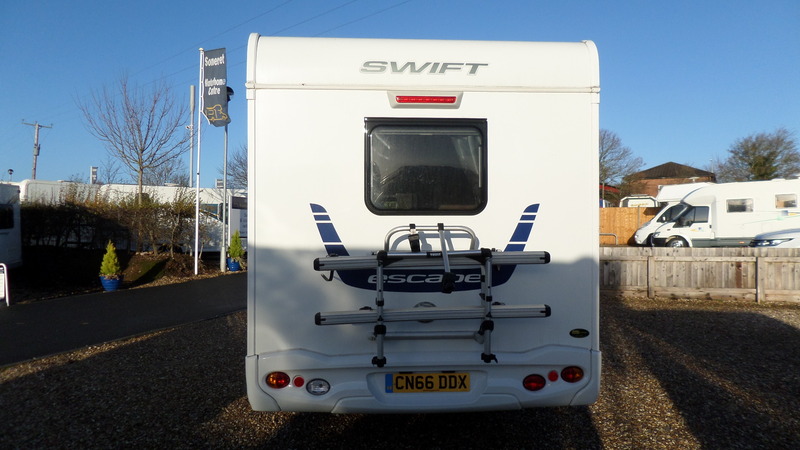 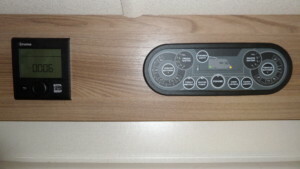 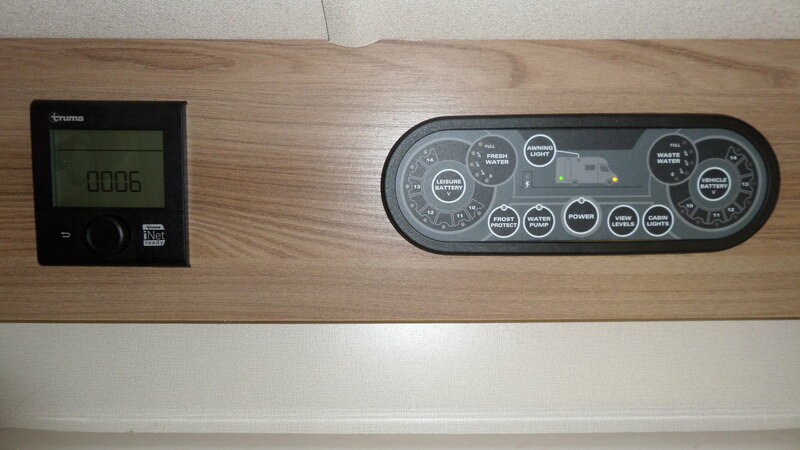 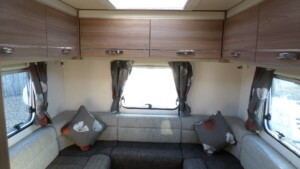 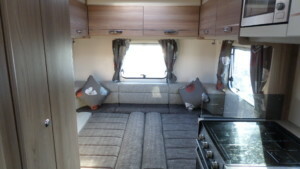 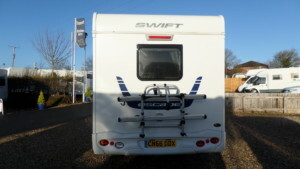 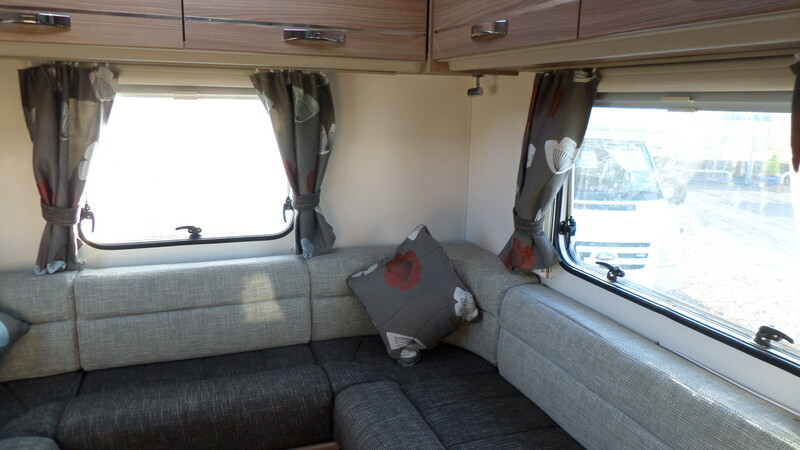 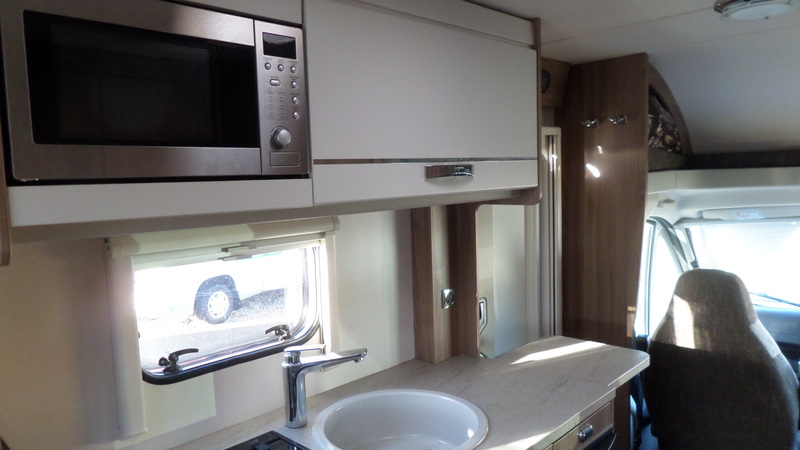 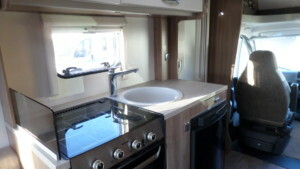 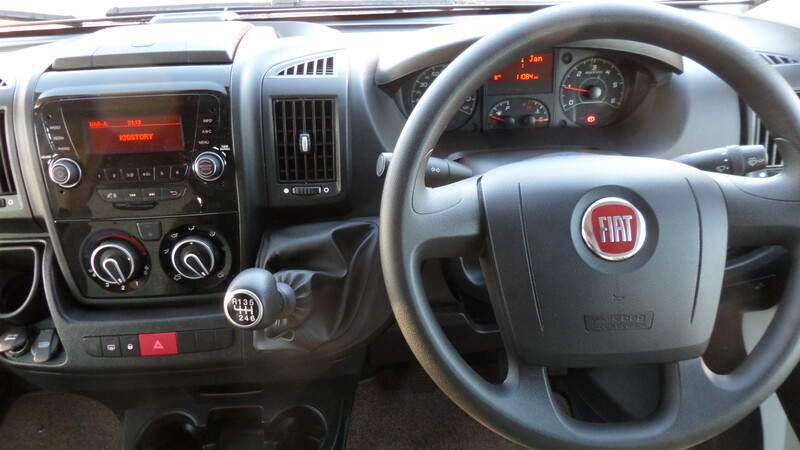 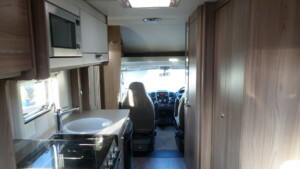 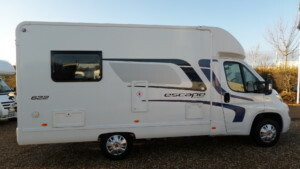 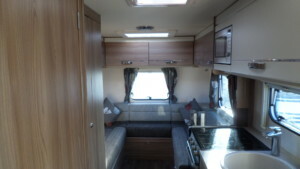 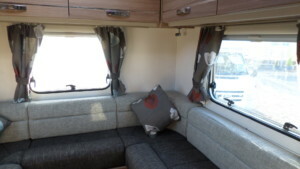 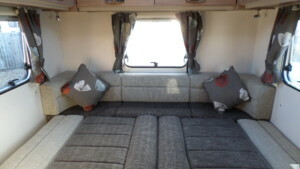 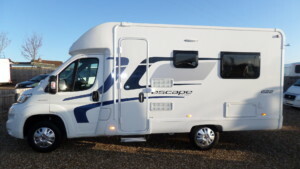 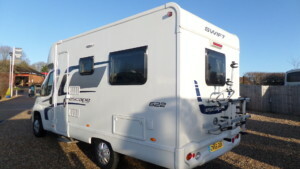 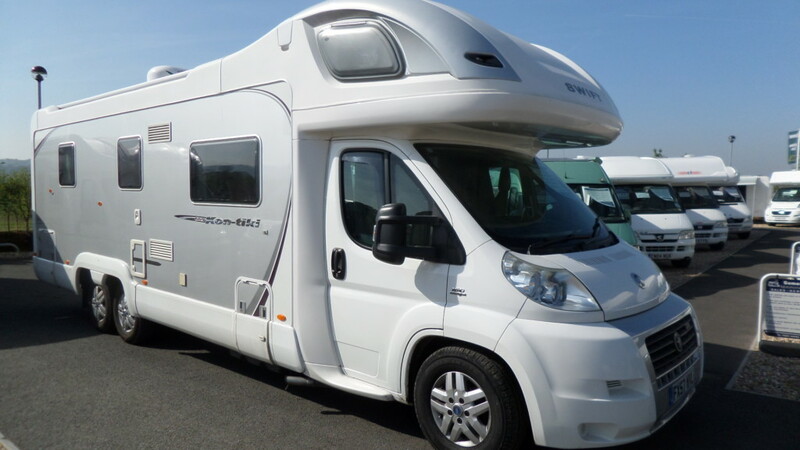 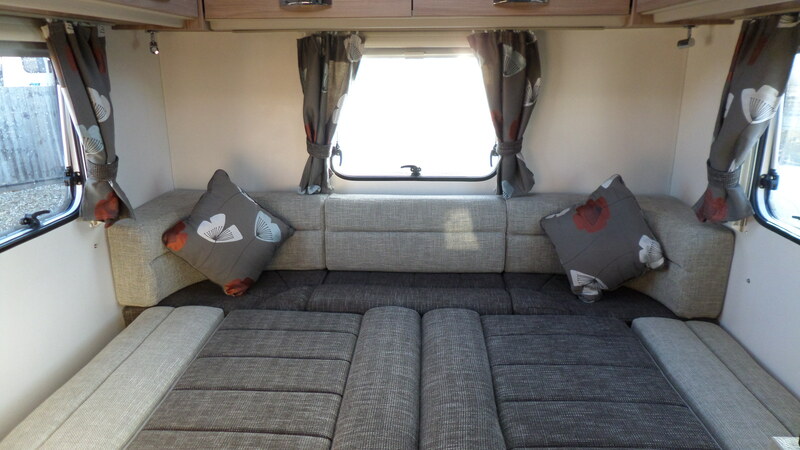 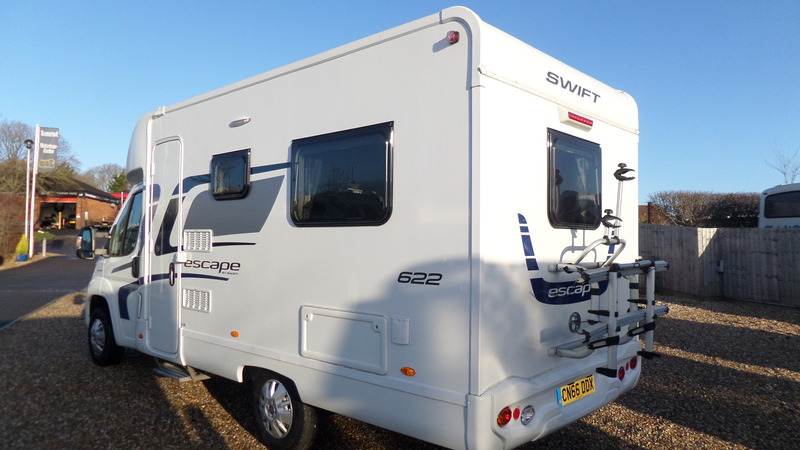 An ideal motorhome for those short breaks or even a trip across Europe.